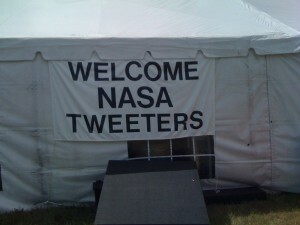 A while back I offered to create a blog post with tips for STS-133 NASA Tweetup attendees. With the launch less than a month away, I figured I’d better get on the stick and get this post written. I’m sure I’m going to miss some key points, and hope Tweetup alumni will chirp in with their tips as well. These tips are going on the assumption that the STS-133 Tweeps will be congregating at the Press Site (the location of the last Tweetup). If the location and events change, YMMV. It’s a bit of a schlep from the parking area to the twent (tweetup tent). Wear comfortable shoes and if you don’t want to trek back & forth with your lunch coolers, get ’em on wheels and stash them under the table. Bring a hat – you will be spending some time outdoors. Bring sunscreen and use it. Fire ants are real – watch where you step and if you get bitten, get thee to a CVS for the cortisone or antihistamine cream to help with the pain/itching. Get to the twent early to get a good seat (although all seats are in sight-line of the podium). There’s electrical and WiFi access in the Twent, as well as climate control. There may not be enough power strips, so if you have room to pack a small power strip or an power squid, bring it. Obvious but needs to be said – make sure you have the cords you need for your ‘puter, phone, camera, camera battery chargers, etc. Bring batteries if your devices require them (like for an external camera flash, etc.). Print up business / contact info cards and bring plenty of them. Make sure they include your Twitter name and Web site address if applicable. 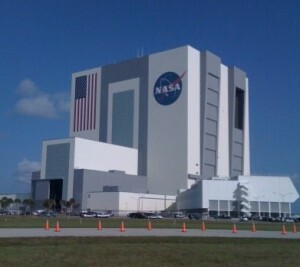 Take time to get to know your fellow attendees and the NASA folks that are acting as ambassadors. Many attendees will share your views on many topics. Many will not. Respect your differences. You can always unfollow them after the tweetup (ha ha ha). 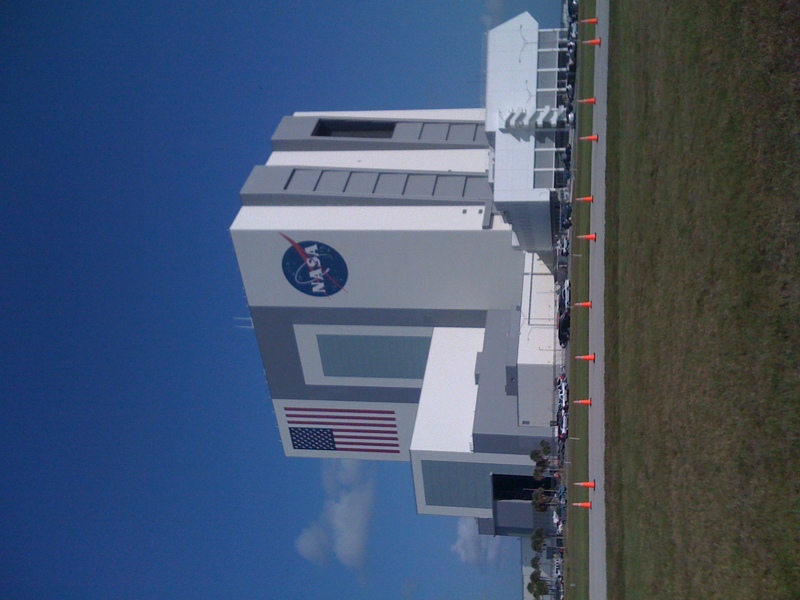 If your event is anything like the STS-132 Tweetup, they are going to line up a fabulous schedule of speakers and excursions. Although are are there to tweet about the event, do yourself a favor and put down the keyboard and listen to what the speakers have to say. It’s a rare opportunity – respect that and the presenters. Do a bit of googling about the speakers or their topics. Prepare some questions – you WILL have an opportunity to ask them. Bring drinks and snacks with you – there’s a soda machine near the Press Box bathrooms, but that’s about it and everyone will be using it. You will not be allowed to leave and reenter the parking area once the tweetup events get underway. Bathroom is small – the ladies’ has only 2 stalls. Don’t wait until the last minute before the launch to hike up the hill to the loo. Bring your lunch unless other arrangements are being made for your group. I recommend calling the Publix Deli the night before and pre-ordering a sandwich for morning pickup or getting together with a few folks and split a box of fried chicken (it’s really good). Even if you call your order ahead, allow adequate time to pick up your lunch and get to the twent – pad your times by 30 minutes to be safe. Even early in the morning, traffic can be bad on launch day. Get enough sleep! The schedule of activities coupled with the adrenaline of the launch can be exhausting. Plus, your brain will be on overdrive.